I am 29 years old and a Family Law Solicitor (5 years Post Qualification Experience). I graduated with First Class Honours in my Law degree and a Distinction in my Legal Practice Course, before being trained by a Deputy District Judge at a Legal 500 firm. I have personally dealt with hundreds of family law cases during the past 7 years, ranging from straight-forward divorces to complex children and financial matters with an international element, and I have had the privilege of helping many people in difficult situations. I am currently working for Eric Robinson Solicitors in the new Richmond upon Thames office, which is the firm’s 10th branch and their first venture into London. I joined the firm when the Richmond office opened, so I have been responsible for creating a caseload organically. I have been actively involved in the business development for the office, attending regular networking events and giving presentations in the community on legal issues, including a presentation on Female Genital Mutilation to a group of 50 women and a presentation to law students at The Law Society on my life as a family lawyer. My goal is to become one of the youngest Deputy District Judges in England and Wales, whilst also continuing my private practice as a family law solicitor. Whilst I was studying for my degree, I set up my own business called “Milkshake Magic” as a way of funding myself through university. I offered party planning services, focusing on magic, contemporary party games and balloon modelling. I ran the business and also performed at all the events. I was booked to perform at Johnny Depp’s son’s 5th birthday party, as well as charity events, large corporate events, local Borough events, schools and private parties. Although I have now stopped running the business, it vastly improved my leadership, organisation, business development and communication skills, which I have successfully transferred over to my current role as a solicitor. Outside of work, I am a former World Karate Champion, having represented England in several national and international competitions. I won the WKC World Championships in Germany in 2006 and I am a Second Dan black belt. I come from a minority ethnic background. My father is a first generation Indian immigrant and my mother is a first generation Trinidadian immigrant. Neither were able to obtain an education past the age of 16 years old. They both came to this country in 1960's to seek better opportunities for themselves and their children. I would like to think that they were successful in that objective as their only child has gone on to obtain a degree and to practice in a highly competitive and well regarded field such as the law. After A-levels I completed a degree in English Literature at Goldsmiths College, University of London. Following the degree I converted to law completing the GDL and LPC at the College of Law before securing a training contract at the London office of an International Dispute Resolution firm. Securing a Training Contract was a big challenge, due to the fierce competition and limited number available (as compared to graduates each year). I worked as a paralegal straight after completing the GDL as well as attending a pro bono law centre, the Waterloo Legal Advice Service for around 5 years. This allowed me to show my commitment to the law and hone my legal proficiency skills. The Attorney General several years ago visited the centre and took particular interest in an employment case that I had successfully won at trial on behalf of my pro bono client. I would highly recommend contributing to Pro Bono legal centres to all lawyers, not only aspiring lawyers, as you step outside your comfort zone and you expand your network. My current expertise lie in representing insurers on a wide variety of high value catastrophic injury claims; covering road traffic accidents, public and employer's liability and product liability claims. I have also worked on international cross border claims dealing with jurisdiction and applicable law issues. I have developed an interest in working on complex brain injury and amputation cases. Coleen is passionate about self-development and career progression. Above all, her interests lie in helping others, who, like herself come from humble beginnings to reach their full potential. In 2015, Coleen started began sharing her journey of navigating the legal profession on popular website Lawcareers.Net. This led to her winning the Legal Cheek award for “Best use of Social Media for her videos. Coleen is also a frequent writer for the Guardian predominantly focusing on advice for getting into law. Coleen is the co-founder of Power up, an initiative designed to help individuals get into their chosen career paths which is sponsored by Google and Gaucho. Coleen was also named as an inspirational woman by Ernst & Young and has a video on the EY website about her journey. Coleen often gives up her time to mentor others and is a regular public speaker. 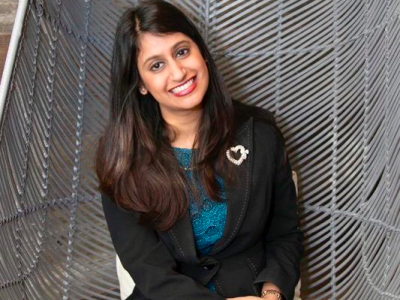 She has spoken at a variety of universities, schools, FTSE 250 companies and motivational events. Jo Torode is an England & Wales qualified barrister and member of Ropes & Gray’s Litigation and Enforcement Group. Her practice covers the spectrum of regulatory investigations, business crime and commercial litigation with a particular focus on the conduct of high profile, cross-border matters. Jo also has deep experience in advising on international business risk and corporate governance, including anti-bribery, fraud, sanctions, anti-money laundering and modern slavery. She is adept not only at designing and implementing policy but also at helping companies to effect behavioral change. Jo regularly carries out internal investigations for financial institutions and corporate entities and advises on their potential criminal and regulatory exposure, with a particular focus on anti-money laundering. She has an active pro bono practice and works closely with international NGOs on multiple matters relating to international human rights and modern slavery. Jo is a regular market commentator who is sought out for her views on trends, issues on legal developments in all her areas of expertise. Jo is also considered a thought leader in the area of cryptocurrencies and the law and regularly asked to commentate in publications to share her knowledge in this new and developing area. She is one of the editors of “Mitchell Taylor and Talbot on Confiscation and the Proceeds of Crime”, the leading practitioners text in this space, and lectures in the areas of financial crime and asset recovery on a national and international basis. Jo was previously a barrister in independent practice, and has acted on some of the UK’s largest and most high profile investigations, including Operation Weeting, (the investigation into allegations of phone hacking at the News of the World), Operation Elveden, (the linked investigation into inappropriate payments to public officials) and the global, criminal and regulatory investigations into allegations of manipulative and collusive conduct in FX markets.. She also has extensive experience of prosecuting and defending trials involving allegations of fraud, corruption, money laundering and corporate criminality having acted both for and against government agencies such as the Serious Fraud Office, the National Crime Agency and HM Revenue and Customs. 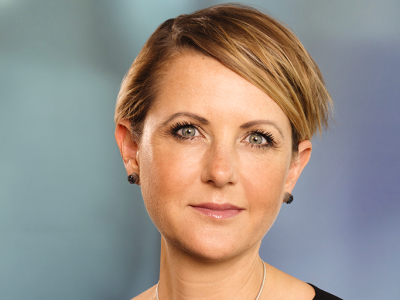 Jo is committed to promoting diversity and the next generation of lawyers and sits on the Ropes & Gray Women’s Forum Committee, both in London and globally. Jo is also a trustee of the charity Women and Children First (UK), which works to develop and share best healthcare practices to improve maternal and newborn health in poor communities. She also coaches and mentors other lawyer on a volunteer basis. Ranked as a "Recommended Lawyer " by The Legal 500 2017, Lisette trained as a barrister in 2005 and cross qualified as a solicitor in 2008, before joining Dawson Cornwell in 2010. She was promoted to Senior Associate in 2017. Lisette advises on all areas of private family law from cohabitation and pre nuptial agreements through to divorce, financial disputes on separation, contact with children and enforcement. She also has experience securing financial remedies following a foreign divorce and maintenance for "abandoned spouses". She regularly advises on cases involving complex jurisdictional issues. Her private international law expertise covers the EU Maintenance Regulation 4/2009, 2007 Child Maintenance Hague Convention, Brussels I and Brussels IIR. She advises the team at Dawson Cornwell and her clients on issues concerning enforcement and variation of maintenance under the Regulation and Convention. Lisette holds a Masters’ degree in law with the University of Bristol; her dissertation for which, completed in 2014, was on the EU Maintenance Regulation 4/2009. She is the Founder and Chair of the EU Law Working Group and member of a Brexit and Family Law Working Group. Lisette is a member of Resolution, the Family Law Bar Association, the Franco British Lawyers Society, AIJA and the Union Internationale des Avocats (UIA). She is committed to her pro bono activities which include volunteering for the Rights of Women advice line, helping vulnerable women obtain advice they need and could not otherwise afford or obtain elsewhere. 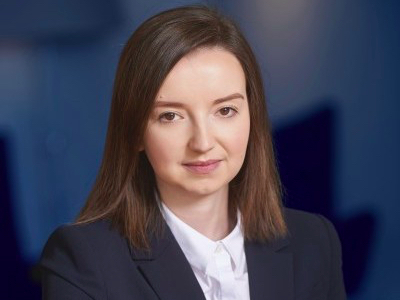 She sits on the Young Resolution Committee and is a co-opted member of the Law Society Family Law Committee due to her international private law expertise. Through her membership of various working groups to include her own she has helped raise awareness in the House of Lords during the debates on the EU (Withdrawal) Bill of the serious implications of Brexit on family law. She is a regular author and speaker on family law. Lisette is passionate about water sports in particular sailing. She has competed in two Fastnets and a JOG race to Cascais. She regularly competes throughout the year in various classes around the Solent. 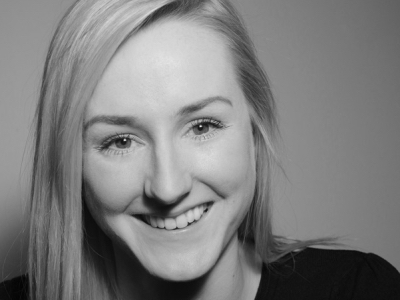 Jenny is a media and entertainment lawyer specialising in film and television matters. She advises clients on the creation, finance and exploitation of audio-visual content across a range of platforms. Jenny regularly advises production companies and talent on deals with major UK and US broadcasters, often with international elements. 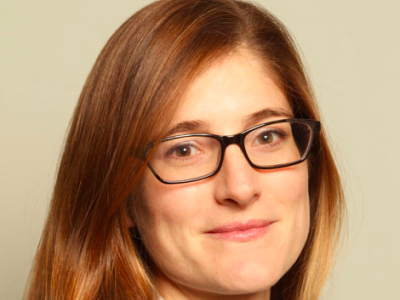 In addition to her TV practice, Jenny advises on a variety of high value, multi-jurisdictional film financing transactions and on VR production and exploitation. As well as working with high profile individuals and companies established within the industry, Jenny enjoys working with new and upcoming producers and directors, including those who may be working on their first feature film or seeking funding grants for the first time. She has also worked with clients on socio-political lobbying within the industry, including best practice guidelines for the filming of intimate scenes. Other clients she works with include talent agents, distributors and sales agents. Jenny has been appointed as a legal expert on the Scottish Screen Sector ‘FOCUS’ panel delivered by Film City Futures for 2018 and speaks at industry events in the UK and abroad. She is a member of Women in Film & TV (UK) and has been involved in a variety of academic alumni events designed to increase access to the legal profession. Prior to joining Clintons, Jenny spent two years working in-house at Channel 5, the Viacom-owned UK public service broadcaster. She trained and qualified at a boutique law firm with media and entertainment clients. Outside of work she enjoys marathon running and travelling, often combining the two. Cherie is an associate in the Capital Markets, Structured Products and Derivatives team in the London office of CMS Cameron McKenna Nabarro Olswang LLP. She is dual qualified as an Attorney in New York and a Solicitor in England and Wales. 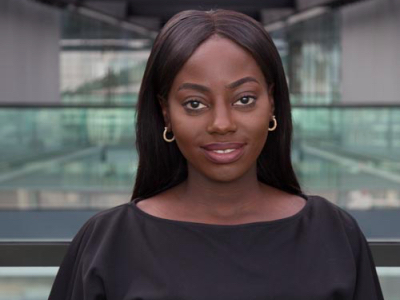 As the co-founder and Chair of the CMS BAME Network, Cherie has developed a number of initiatives to enhance diversity and inclusion at her firm. 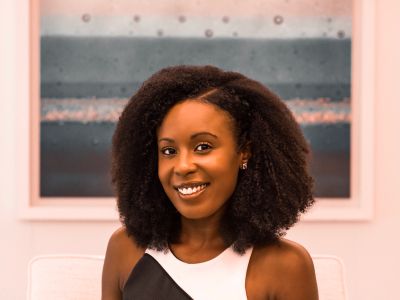 Cherie is also a founding committee member of the Black Solicitors Network’s Junior Lawyers Division and works with the Society of Black Lawyers to develop student conferences with a view to empowering, supporting and developing young lawyers. Cherie was featured in the Top 30 Ethnic Minority Future Leaders List presented by the Financial Times in 2017. She also mentors a number of young lawyers, collaborates with external organisations to empower young people and speaks at various events to share best practice in relation to diversity and inclusion. It is easy for me to envision a world where I did not get offered a training contract. I’m from a non-law background. I’m one of the first members of my family to go to university. I have a Northern accent. An upper-limb deficiency. I was state-school educated and have poor A Levels. And for years, I had absolutely no idea how to write a good application. However, I was very fortunate. I found a career mentor who invested a lot of time in me, and I was guided through the application process by Aspiring Solicitors. Without these two influences, I doubt whether I’d be a future trainee at Herbert Smith Freehills. This realisation is what motivated me to create Apply.Shine.Win. It is a blog that aims to provide practical and encouraging advice to students applying for training contracts. It covers everything from making applications through to performing well at vacation schemes, with some interviews, examples and anecdotes thrown in for good measure. My hope is that by making this information available to everybody, students from underrepresented groups will feel more confident during the recruitment process and find it easier to access the legal profession. I grew up in Jersey in the Channel Islands before moving to England to go to University in 2005. I was the first person in my family to go to University. Following graduation, I successfully secured a training contract at a firm in Brighton. Prior to commencing this, I spent a year working for a law firm in Jersey and then attended law school in London. To build a successful legal network in Brighton, I was a founding committee member of the Sussex Junior Lawyers Division (JLD). The JLD gave me a fantastic platform from which to share my experiences of working in the legal profession with other junior lawyers and acted as a support network. Once I qualified as a solicitor in 2012, I moved to a firm in Kent to specialise in employment law and became an executive committee member of the Junior Lawyers Division of the Law Society of England and Wales. In 2015 I was delighted to be elected as a Council Member of the Law Society of England and Wales to represent junior lawyers with up to five years' post-qualification experience. In 2016 I joined an international London firm and undertook a secondment in–house to a global accountancy firm's HR department. As someone who struggled with anxiety during secondary school, university and whilst at law school, I enjoyed the opportunity that this secondment gave me to support a number of employees who were experiencing physical and mental health issues. As a Council Member, I was keen to focus on supporting junior lawyers with mental health issues and to help those experiencing high levels of stress at work. To ascertain the extent of this amongst junior lawyers, I conducted a survey in 2017 which received over 200 responses. One of the key statistics from the survey showed that junior lawyers did not think that there was enough support for those struggling with the demands of the profession, causing stress and mental health issues. As a result, I have worked on a number of different initiatives to try to provide more resources and support to junior lawyers and their firms, and this is something about which I am passionate. I have since joined a small employment team in a firm in the City and I sit on its Diversity Committee and Physical and Mental Wellbeing Network. I am also a Wellbeing Mentor for my firm. I am shortly about to start a new role with a small start-up legal and business advisory, TandonHildebrand, where I hope to try something different in the legal profession by working in a new way. I am hoping to be able to develop my practice more on mental health and wellbeing in the legal profession and am excited about the opportunities that this new venture will offer. Victoria is a solicitor in Carter-Ruck's commercial litigation team and the CEO of youth engagement and social mobility charity, Big Voice London. After completing her education at a state school and sixth form college, Victoria graduated with a first class in law from the University of Exeter and later obtained an LLM in International Commercial Law from the same university, graduating with a distinction at the top of her class. 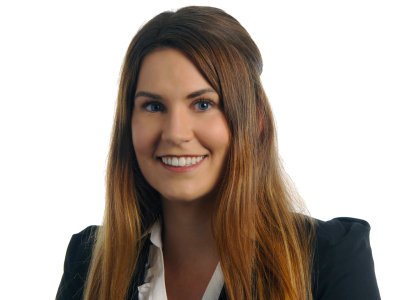 Having trained and qualified at Carter-Ruck, Victoria has gained experience in both commercial and media matters and has assisted in proceedings in the High Court, Court of Appeal and Supreme Court. She has assisted in the Claimants’ legal teams in Mir Shakil-ur-Rahman v ARY Network Ltd (a libel and harassment trial which led to the first ever publication order under s.12 of the Defamation Act 2013 and a damages award of £185,000) and PJS v News Group Newspapers (the first case in which the Supreme Court has given judgment on an interim application restraining a breach of privacy). 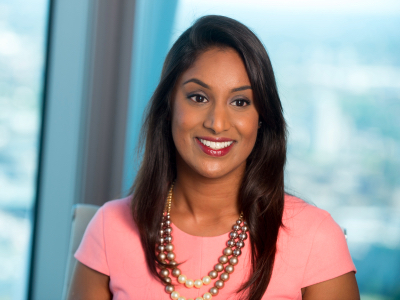 Victoria is also extremely passionate about improving diversity in the legal profession. 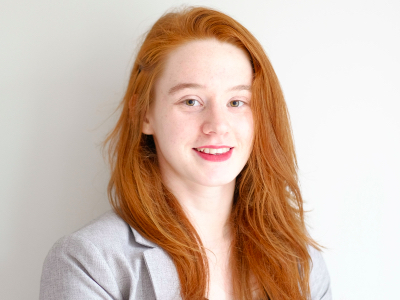 Alongside her work at Carter-Ruck, Victoria is also the CEO of Big Voice London, a social mobility charity which seeks to engage young people from non-traditional backgrounds in law and legal policy. Big Voice London runs projects for young people each year, including: a Mooting Competition in association with the UK Supreme Court and the country's only Model Law Commission.